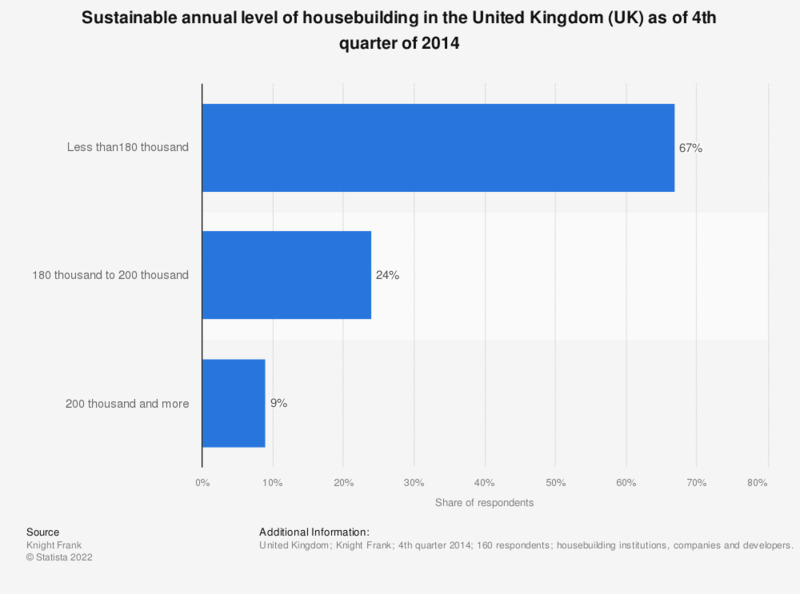 This statistic displays the sustainable supply of new houses, according to the housebuilder associations and developers on the United Kingdom (UK) market as of the 4th quarter of 2014. Approximately 9 percent of respondents stated that it would be feasible to deliver more than 200 thousand homes a year under the existing market conditions. housebuilding institutions, companies and developers.